Temple Israel will be opening up our first Chanukah gift exactly eight days before Chanukah: the gift of Noah Aronson as our 2016 Karol Music Weekend guest artist. 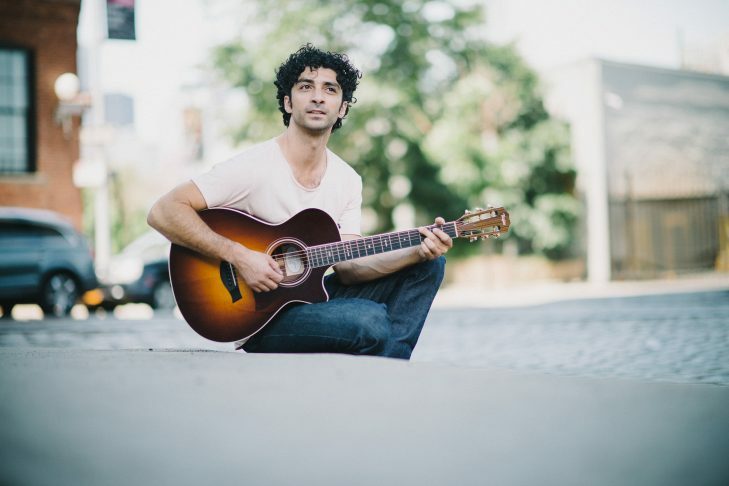 Noah is an energetic and soulful composer/performer whose unique musical style has made its way into communities across North America and in Israel. Noah earned a degree in Jazz Composition and Piano from Berklee College of Music in Boston, and held the position of Composer-in-Residence at Temple Beth Elohim in Wellesley, receiving an honorable mention in the 2009 Guild of Temple Musicians (GTM) Young Composer’s Award for his choral compositions. Noah released his first solo Jewish album in May 2011 and his Left Side of the Page has received wide-spread acclaim for setting to music poetic selections from our new Mishkan Tefilah Prayer Book. Noah’s music is now sung in progressive communities and summer camps worldwide and has been included as part of the Cantorial curriculum at the Hebrew Union College Debbie Friedman School of Sacred Music in New York City, where he currently resides. Noah is now touring with an incredible band of Israeli musicians he met while studying at Berklee College of Music in Boston. With his knowledge and love of Judaism, Noah takes us on a musical and spiritual journey that fills us with a sense of completeness and wholeness. Be with us as Noah leads us in prayer and song on Friday, December 16 at 6:00 p.m. Learn more and hear a music sample at www.tisrael.org/noah-aronson. In 1990, the Karol family endowed Temple Israel’s longtime Annual Music Service in honor of their father, Herbert M. Karol, a trombone player and lover of music. The service is a liturgical celebration of Jewish music and composers.